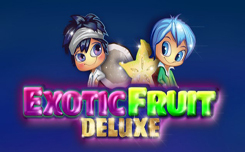 Exotic Fruit Deluxe is a slot for fruit themes, released by Booming Games. 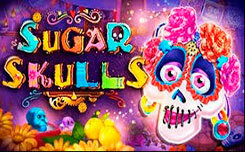 This game is a continuation of the famous slot Exotic Fruit, released by this company. Like the original game, Exotic Fruit Deluxe is filled with fruit symbols. It is filled with bright symbols of fruit. The slot has five reels and 15 paylines. The drums of the game are located on a purple background, and around there is a glowing yellow frame. The spread is also what causes the bonuses in the game, when 3 of these bonus symbols drop out on the reels, the slot automatically launches 10 free spins. In free spins there is one additional – an expanding symbol. Before the beginning of each game you can choose one character that will act as an expanding symbol during free rounds.